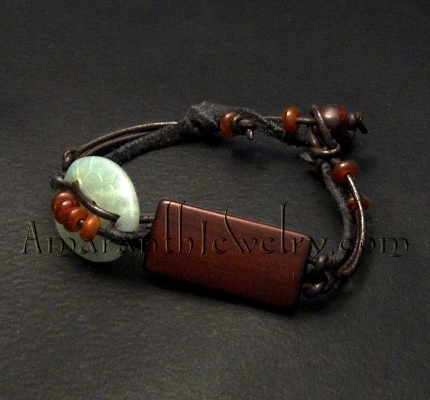 serpentine and wood leather bracelet, 9 3/4"
Double turtle carved Serpentine and teak-colored wood on dark chocolate brown smooth and suede leather, with horn bead detailing. 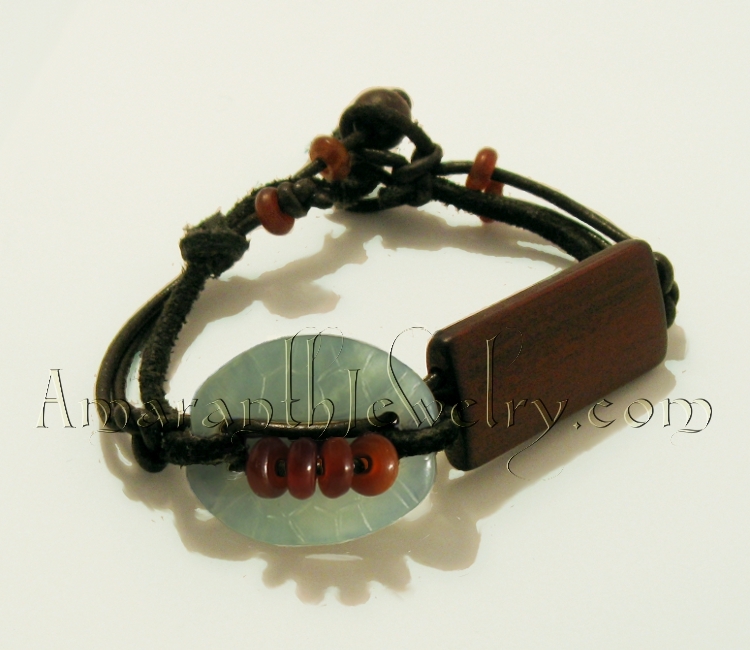 Knotted loop and wooden bead closure. 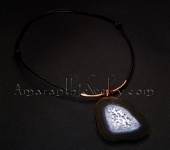 Serpentine focal is carved on both sides and measures 32x26mm (approx. 1 1/4" x 1"). Please click on picture for alternate view on white background. With about two dozen varieties, Serpentines are a group rather than a single mineral. Though usually different shades of green, depending on what elements are present, they can be practically any color, often with veining or blotches. Serpentine is sometimes called "New Jade".